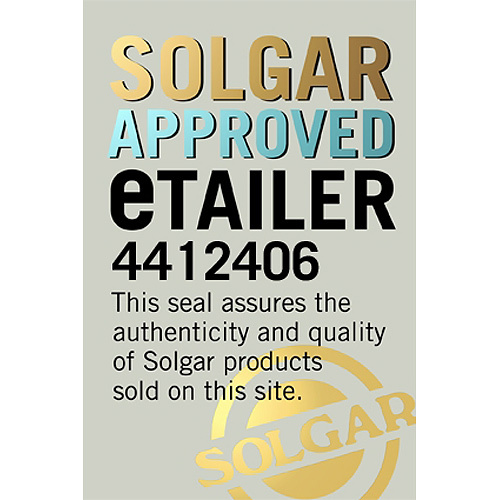 Solgar® Digestive Enzymes is a unique proprietary complex that helps support your digestive system and the absorption of your food. The digestive process is a complex system in which the body breaks down the food that we eat into nutrients with the help of digestive enzymes, which are produced in the pancreas and small intestines. If we do not have enough digestive enzymes, our body cannot break down our food completely and even though we are eating a healthy and balanced diet, the nutrients aren’t being absorbed efficiently. 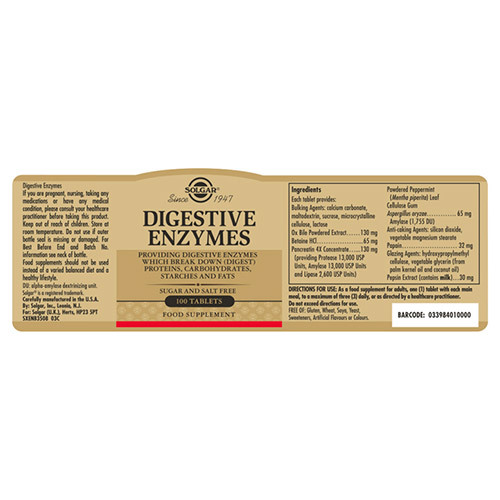 Food allergies, low stomach acid and chronic stress all have an impact on the production of digestive enzymes. 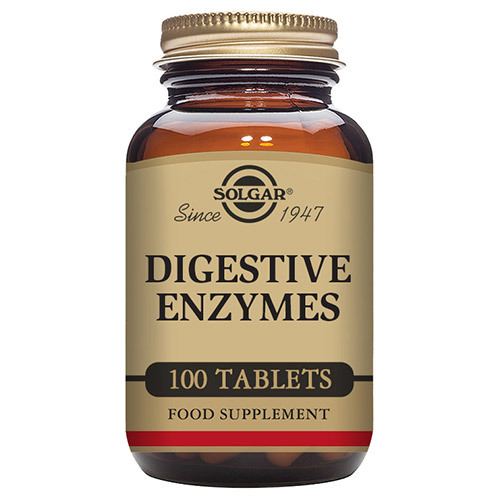 If you feel you need some extra digestive support after meals, using Solgar® Digestive Enzymes Tablets may help. This specialist formula includes ox bile, betaine, pancreatin, aspergillus oryzae, papain and pesin extract. Each of these enzymes target different food groups to give a holistic approach to the digestion from food into nutrients. For adults take one tablet with each main meal or as directed by a healthcare practitioner. May be swallowed or chewed. Do not exceed directions for use. If you are pregnant, taking any medication or have a medical condition, please consult your healthcare practitioner before taking this product. 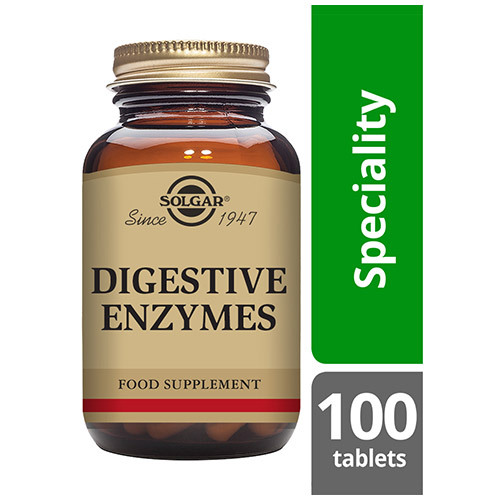 Below are reviews of Solgar Digestive Enzymes - 100 Tablets by bodykind customers. If you have tried this product we'd love to hear what you think so please leave a review. This is the best product I have found for me to digest protein. The best digestive enzymes with ox bile and betaine HCL in addition to pancreatic enzymes for full digestion and importantly without side effects. There are other brands that come in capsules. Betaine HCL and a capsule is a bad idea as the release occurs in one area of the stomach with the usual distress.